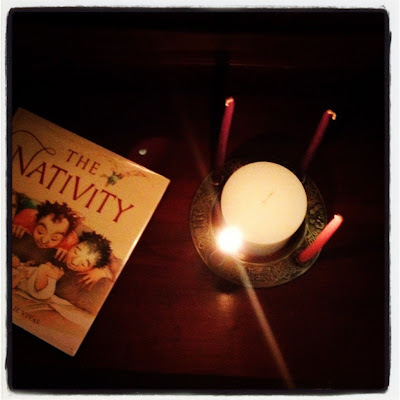 I had planned to blog about advent traditions this week, but in light of the recent events in Connecticut, I don't feel right about going back to light and happy blogging this week. We are so deeply saddened by this unbelievable tragedy. That sounds so inadequate, and it is inadequate, just as words sometimes are. In him was life, and that life was the light of all mankind. The light shines in the darkness, and the darkness has not overcome it. Our thoughts and prayers are with all of the families who are experiencing unspeakable loss. That's just the right verse to share. Thank-you and Merry Christmas.